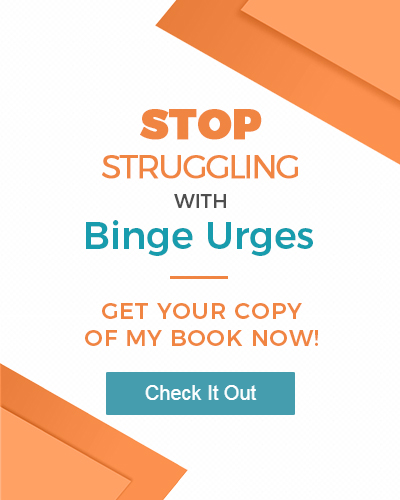 With all of the bulimia treatment options available these days it can be overwhelming and at times discouraging to find the one that will give you lasting recovery from your eating disorder. I get that – because I was there, too. After 27 years of recovery and relapse I know the meaning of working hard to find your path to lasting recovery. If you’ve tried bulimia support therapy, eating disorder support groups or maybe structured eating plans with some results, but perhaps you’ve relapsed now and again, don’t beat yourself up – or give up hope. If you have hope that there is a bulimia treatment program or resource that can help you, then you’ve got the right attitude and will succeed. With an attitude of hope, or better yet expectation, you will find your way to lasting recovery. That much I know for sure. I’m working on a new book right now that’s about how to let your inner wisdom be your guide for finding your bulimia treatment path. I think it’s because I’ve been in this mindset that I came upon this incredible video by Abraham-Hicks that teaches you how to finally know what is your road to recovery. You can learn how to stop bulimia forever. The woman Abraham is speaking to doesn’t have an eating disorder, but she does suffer from low self-esteem and I think the guidance is clear if you’ve been wondering how you’ll finally find lasting recovery. If you enjoyed that video and want to try on this week listening to your inner wisdom, here’s an idea for you. As you heard in the video Abraham reminds us that our emotions are the key to our guidance. Emotions are telling us what we’re guided to do by our inner/higher self. Right there inside of you are all of the answers…how cool is that!?! This week, when you find yourself feeling negative (or even catch yourself thinking negatively – because it’s usually a result of our emotions) try to listen for guidance from your higher self or Source for the message that the bigger YOU wants you to know at that moment. It may come as words or perhaps a thought (you hear in you head), it may come as an impulse to do or stop doing something, it may come as a vibrational feeling (a “knowing” I call it) you’re suddenly aware of. In moments of uncomfortable or negative feelings we’re being told by our Source that whatever we’re thinking, feeling, doing, saying or hearing is contrary to our true purpose. This may be new to some of you, so just try being aware of the feeling to start. If you’re aware of your negative feelings in the moment, then you have choice and power. If you don’t hear the wisdom or feel the impulses right away, don’t worry. It’s a new process for many people. It’s sort of like learning to walk. You crawl, maybe stumble a little, then you walk, then you jog and soon you’re out there running a marathon…and thriving! I’ve been tuned into my inner wisdom for many years and I’ve learned with time the more I listen and do as I’m told or inspired to act upon, the better my life turns out. When I hold myself outside of what my inner guidance tells me everything falls apart. No kidding! I hope you’ll give it a go and remember to share your bulimia treatment feedback on my bulimia blog below. I love hearing from you!